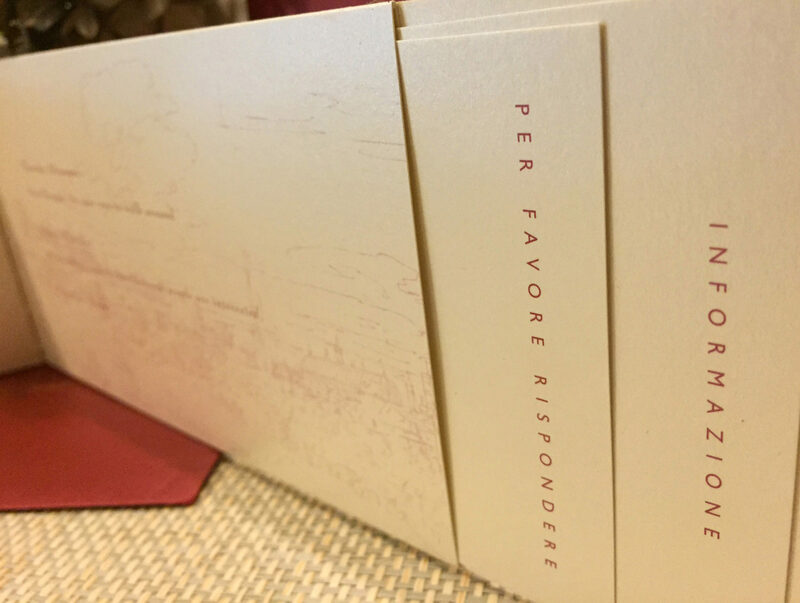 A wedding in a medieval castle inspired a lushly romantic invitation that featured vintage etchings of the Italian countryside. 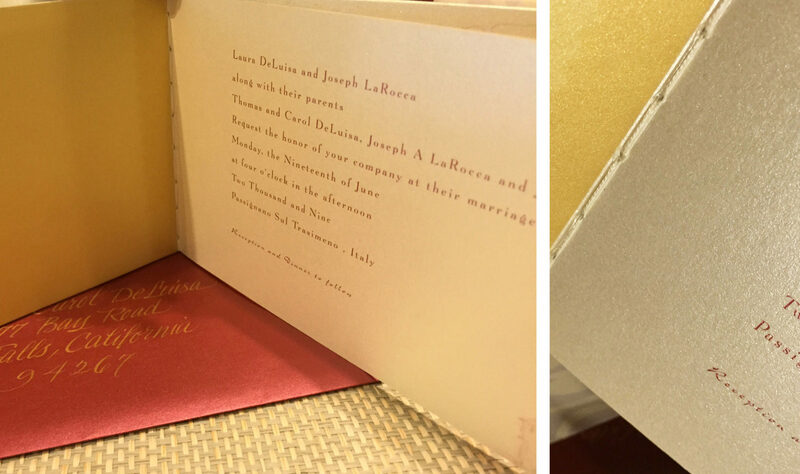 Rich gold and ivory stock is bound in beautiful book cloth and hand-stitched into a custom booklet. 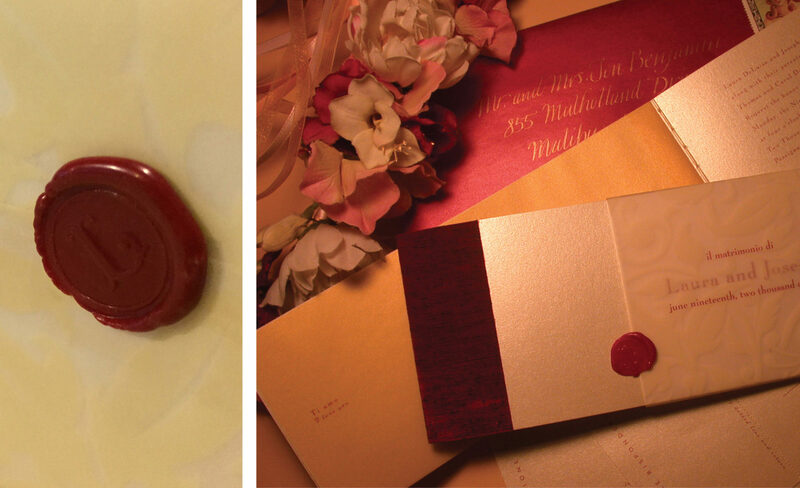 Finishing touches include a vellum slip band, red sealing wax and a button-and-string envelope addressed with gold calligraphy.